Please give me detailed information about the Pune University MCA Entrance Exam. Pune University entrance exam for Msc physics? Entrance exam for PHD in Communication Pune University? 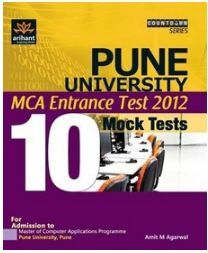 The Pune University conducts Entrance Exam to take admission in MCA course. The candidate having Science Graduate with Mathematics at 10+2 Level from any recognized university. In this exam the paper is based on the multiple choice questions of 100 marks. â€¢ Set theory: Set operations, relations, functions. â€¢ Propositional logic: Formulation, deduction, evaluation, puzzles. â€¢ Linear Algebra: Solution of a system of linear equations. Determinant and inverse of a matrix, basic properties of matrices. â€¢ Co-ordinate Geometry and Conic Sections: Equations of lines and planes, vector products; definitions and properties of conic sections. â€¢ Trigonometry: Identities, computation of heights and lengths. â€¢ Differential Calculus: Total and partial differentiation, limit of a function. â€¢ Integral Calculus: Definite and indefinite integrals, solution of differential equations, computation of areas and volumes. â€¢ Series and sequences: sum, mean, convergence, limit. â€¢ Real and complex numbers: surds, solution of equations on complex domain. â€¢ Polynomials: solution of quadratic equations, properties of roots of polynomials with real coefficients, binomial expansion, Taylor series. â€¢ Elementary Probability Theory: Computing probability from combinatorial reasoning, conditional probability. 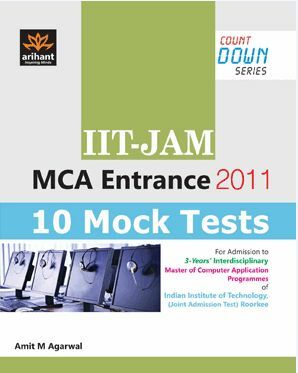 Here I am giving you link of the Page form where you can download the entrance exam paper for MCA course of Pune university. Admit card will be available on the official site in 3rd week of the Feb 2013. You can apply the online for this exam at the official site of the University of Pune. If you have read the filling instruction carefully then you can click on apply online. You will be moved on the login page. 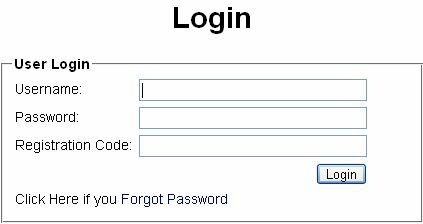 Then entering Username, Password, Registration Code and click on submit button you will be proceed next procedure. All times are GMT +6.5. The time now is 04:51 AM.